I visited today Product Development Project Gala at Aalto University in Espoo Finland. 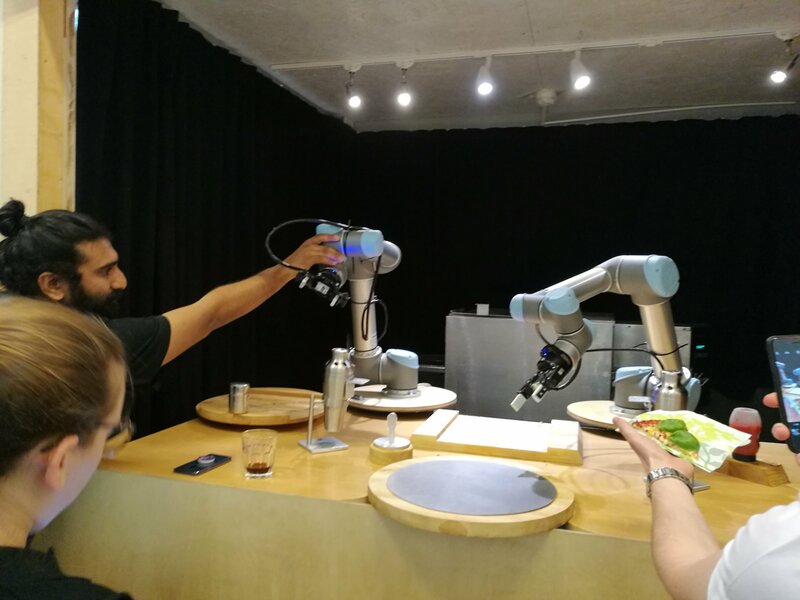 I tasted pizza made by robots. Creator’s transparent burger robot doesn’t grind your brisket and chuck steak into a gourmet patty until you order it. Eventually, an app will let people customize the exact ratios of all the ingredients, unlocking near infinite permutations. 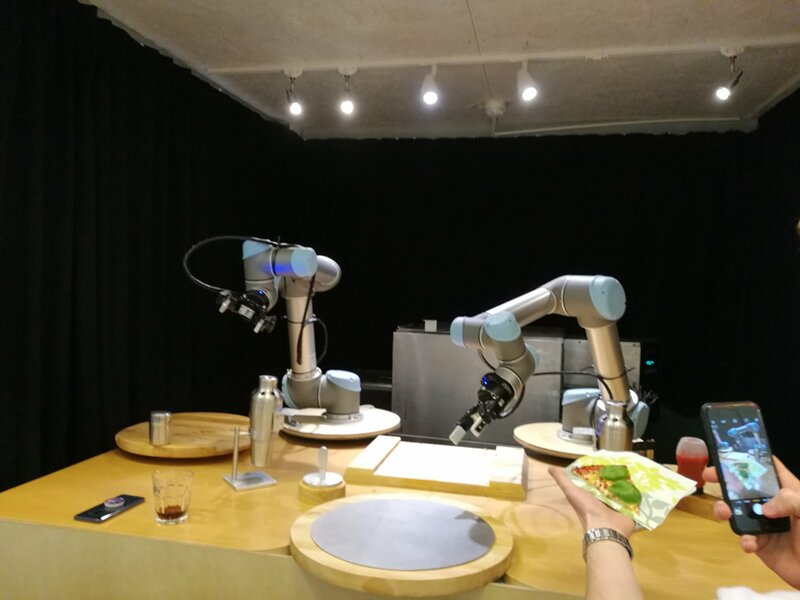 In the meantime, other entrepreneurs have tried to find a business in food robots. The pizza kitchen with the Pizza Rax logo features two Universal Robotics robots and robotic robots from Robotiq. 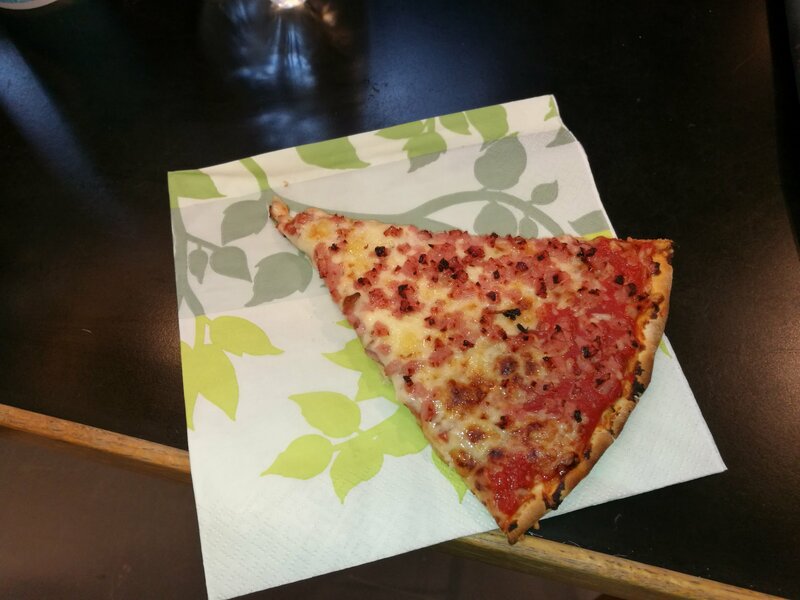 They are used to fill pizza, to bake and to give to the customer.